Jennifer Lawrence chops it all off! The pixie cut is moving through Hollywood like a virus. 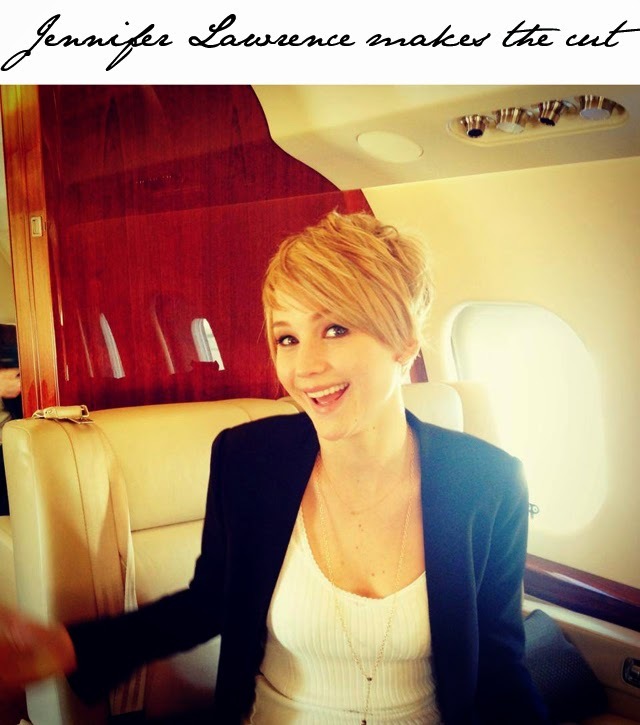 The latest to join the crop cut club is Jennifer Lawrence. Lawrence shared this picture of her new haircut on Facebook just a couple of hours ago and already fans are reacting with over 1000 opinionated comments on the new do. Ranging from loving it to loathing it, seems everyone has something to say about the new look. Personally speaking, we can't wait to see how Jennifer Lawrence's new haircut works on the red carpet for her Hunger Games premiere in London on Monday. Yes, we'll be there reporting live!